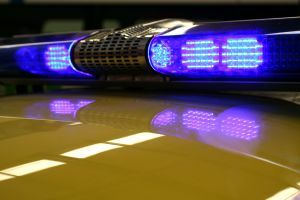 On February 10, 42-year-old John Joseph Henry of Taylor was shot in the head after he tried to stop an intruder who had entered his home and was in the midst of stealing property. A neighbor of Henry’s was then interviewed by NBC Channel 4 in Detroit; the neighbor, Jeremy Jones, stated in the interview that Henry “has a big heart.” Jones has now been arrested and charged with assault with intent to commit murder, according to a news article at Mlive.com. According to police, Jones entered Henry’s home and was stealing when he was caught by Henry and his girlfriend. The incident took place on Wilkie Street. Henry’s girlfriend said that Jones threatened her after he shot Henry in the head, telling he that if she told police anything, he would come back and kill her. Henry was in critical condition at the time of news reports. When being interviewed by news reporters, Jones also praised Henry, saying that Henry helped him when his car was stuck in the snow by pulling it out. In addition to attempted murder Jones is charged with assault with intent to do great bodily harm, home invasion, armed robbery, larceny of a firearm, felonious assault, receiving and concealing stolen property, felony firearm, and discharge of a firearm in a building. Another man has also been charged in the incident, William Wayne Chaffin, who allegedly helped Jones with the stolen goods. Attempted murder is a very serious charge in Michigan; should Henry succumb to his injuries, it is possible Jones could be charged with murder. The other charges leveled against Jones are serious as well, leaving him facing severe criminal penalties and loss of his freedom if convicted. Criminal penalties for assault with intent to commit murder include a prison term of any number of years to life. Anyone who is under investigation for a serious or violent crime, or who has already been arrested or charged should contact a seasoned Michigan criminal defense attorney right away. There are many legal options and strategies that may result in charges being dropped or reduced, helping those accused avoid serious consequences or minimize the damage to their lives.